"This was the casserole my mom made every year for Christmas morning." Preheat oven to 350 degrees F (175 degrees C). Remove aluminum foil from casserole. 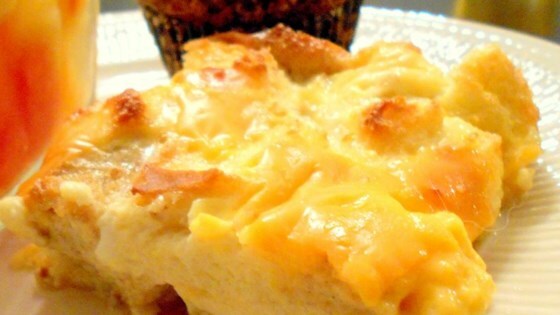 This breakfast casserole is perfect for Christmas morning! Very good! I think the ground mustard gives it an extra good flavor!